In the spring, when the Snake River runs high, the rapid known as Lunch Counter can offer whitewater rafters enormous swells. Later in the season, when the river flows are lower, Big Kahuna, a rapid you might have peacefully floated over in the spring, offers frothing swells up to 7 feet high. That’s the thing about the Snake River. 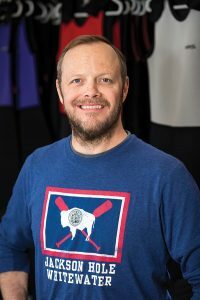 It’s predictable, you can know it intimately, but it’s also always changing, according to Jeff Tibbitts, general manager at Teton Expeditions and Jackson Hole Whitewater. He would know. He’s been running the Snake River since he was a kid, even before his dad bought the company he’d one day manage. Jeff’s father, David Tibbitts, was a dog groomer for celebrities in California when he read a story in the Los Angeles Times about Jackson being a great place to raise kids. 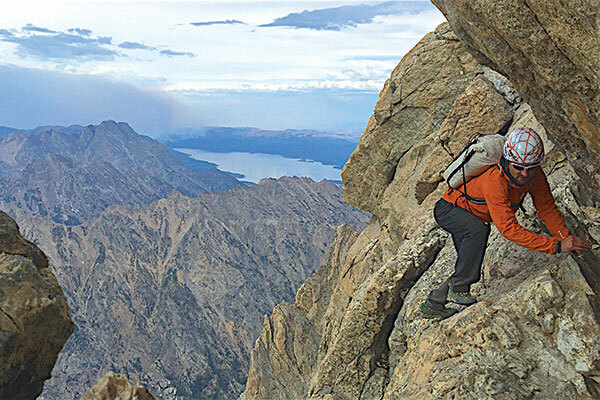 about running a rafting company, but he loved the water and snatched up permits to guide the river when he purchased Teton Expeditions in the mid-1980s. He kept the name of the company for the scenic floats portion of the business and made the whitewater trips part of Jackson Hole Whitewater. Running a rafting company was a bit different in that era. “Back then, I remember Dad having to write by hand, back and forth to people, guests who wanted to know about reservations,” Jeff recalls. David secured the company’s physical location on Broadway through a handshake deal with rocks marking the property boundaries. Since then, the company has guided celebrities like former President Bill Clinton, actors like Leonardo DiCaprio, and musicians such as Timothy Schmit of the Eagles, as well as thousands of other visitors. All the Tibbitts children worked for the rafting company, starting with summer work like washing booties. Jeff did everything from preparing meals, to driving the shuttle bus, to guiding trips. “I’ve probably done every single job,” Jeff says. Originally, Jeff thought he’d go to dental school, but each summer he returned back to Jackson from San Luis Obispo, California. Every year, he remembered how much he loved the business and the people. Many guests returned year after year and the company had little staff turnover. One current employee has been with the company since 1988. After considering his choices, Jeff opted to return to Jackson to manage the family business instead of going to dental school. "I’ve probably done every single job." 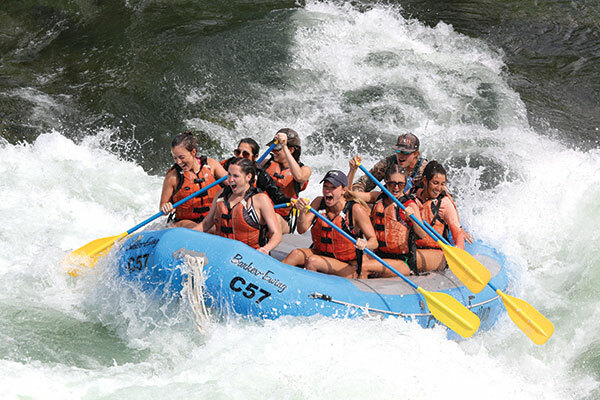 In 2016, the company purchased Barker Ewing, another rafting company started in the 1960s. It still operates as its own separate business. Both oufits retain the small, family-run feel, according to Jeff. David’s wife, Stephanie, works as office manager for Teton Expeditions. 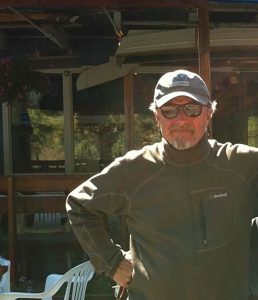 David, now 73, plans to step back from the operation and leave more of it in Jeff’s hands this summer. “But hopefully my son will let me come back and at least drive a bus once in a while this summer,” he says with a laugh.